Whether you’re a seasoned ‘ski bunny’ or dabbling in skiing or snowboarding for the first time, New Zealand has a range of ski fields suited to all levels of ability, and plenty of options for off-mountain activities. Winter in New Zealand runs from June to August. The first snowfalls (on-mountain) can start as early as May, but most ski fields will open somewhere around mid-June and run through to October, depending on the conditions. Daytime winter temperatures around Wanaka and Queenstown will range from 0°C to 8°C (32°F – 47°F) and further north you can expect temperatures to range from 10°C to 16°C (50°F – 60°F). Generally, winter days in New Zealand offer clear, settled weather. There’s a good chance you’ll get plenty of bluebird days. In the southern ski regions, expect very cold, frosty mornings and short days. 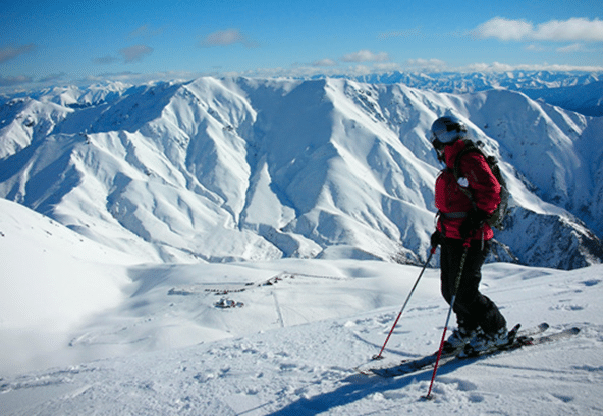 New Zealand offers around 25 ski fields throughout the north and south islands. Many of these are club fields and provide a more “authentic” experience. If you don’t mind a rustic experience, New Zealand’s club fields are a great way to have fun without the crowds. If you prefer your ski fields with chair lifts, cafes and all the trimmings, here are the major ski fields. The North Island offers two main options for skiing, Whakapapa and Turoa, situated on opposite sides of Mt Ruapehu. Whakapapa ski field offers the diverse terrain of old lava flows and naturally-formed half pipes, plenty of challenging runs, a freestyle terrain park and the Happy Valley learners and kid’s ski area. On the south-western side of Mt Ruapehu, Turoa offers plenty of fun for beginners as well as bowls, chutes and terrain parks for the advanced. The South Island offers a few more options for skiing thanks to colder temperatures and the Southern Alps mountain range. Just out of Christchurch, you’ll find Mt Hutt ski field and then further south, you’ll find Treble Cone and Cardrona near Wanaka and The Remarkables and Coronet Peak close to Queenstown. 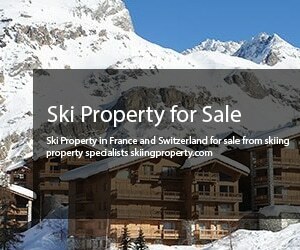 There are loads of options for lift tickets, with the best deals available in you book early. You can choose a one-day pass, a season’s pass or anything in between. A one day pass is around NZ$100 at any of the main ski fields and season passes range from around NZ$1,000 – NZ$1,400, but you’ll find better prices if you book the early bird options. There are savings to be had if you purchase multi-day tickets (such as a 3-day or 6-day pass), so it’s worth figuring out how many days you’ll be skiing or snowboarding and purchasing tickets accordingly. For most mountains, kids under 6 are free. There are also packages that allow you to combine lessons and gear rental. Check out options for exchanging your lift tickets for other activities. Many of the main ski fields now allow you to exchange a day’s skiing for a participating activity. This is a great option if the legs just won’t work anymore. When booking your flights, accommodation and lift passes, it’s a good idea to make sure you’re covered by getting travel insurance. AMI Travel Insurance has a range of affordable travel insurance options. Kiwis love a good après-ski session! In towns like Queenstown, Wanaka and Ohakune you’ll find plenty of lively spots off-mountain and some on-mountain for a mulled wine, hot chocolate or something stronger. And if you still have enough energy to kick on until late, Queenstown offers over 100 bars and restaurants. And just down the hill from Cardrona, you’ll find the classic Cardrona Hotel, an iconic place to stop for après ski. Don’t like skiing or snowboarding? No worries. Queenstown and Wanaka are famous for world-class skiing, but they are also famous for an endless supply of activities. If you’ve lost your skiing or snowboarding mojo, don’t despair. Whether its thrills, indulgence, relaxation, adventure or sightseeing you’ll find just about all activities available throughout winter. If you’ve got the right clothing, there’s no reason you can’t jet boat, bungy jump or wine tour. If you’re planning on driving yourself to the ski fields, make sure you’ve checked the road conditions first. While most ski access roads to the major ski fields are sealed, poor weather and ice often make conditions challenging. If you’re hiring a car, you’ll need to make sure you have chains in your vehicle. There are many times throughout the season when ski access roads are only accessible by vehicles fitted with chains. Our top tip is to make sure you know how to fit chains before you get half way up an icy ski access road! If this all sounds too taxing, just hop on the ski bus. There are ski transfer services available to all main ski areas, departing throughout the day. Book ahead and you’re all set for stress-free access to the snow. If you’re in the South Island and doing a self-drive ski holiday, you’ll need to check the road conditions before you set off. Main routes like Arthurs Pass, Lindis Pass or Lewis Pass are subject to snow or ice and can close for short periods over winter. Throughout winter, grit is dropped onto the roads, so always drive carefully. You can stay updated on the road condition by checking the NZTA website.